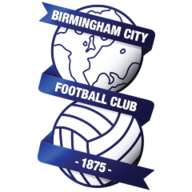 Callum Connolly made the most of some lenient refereeing to fire struggling Bolton to 1-0 victory against Birmingham at St Andrew's. Wanderers recorded their first win in eight Sky Bet Championship outings after the 21-year-old was shown a yellow card for only one of two late challenges in as many second-half minutes, before heading the only goal of the game moments later. A dreary contest was short of both quality and chances but the visitors were deservedly rewarded for a gutsy and disciplined display. 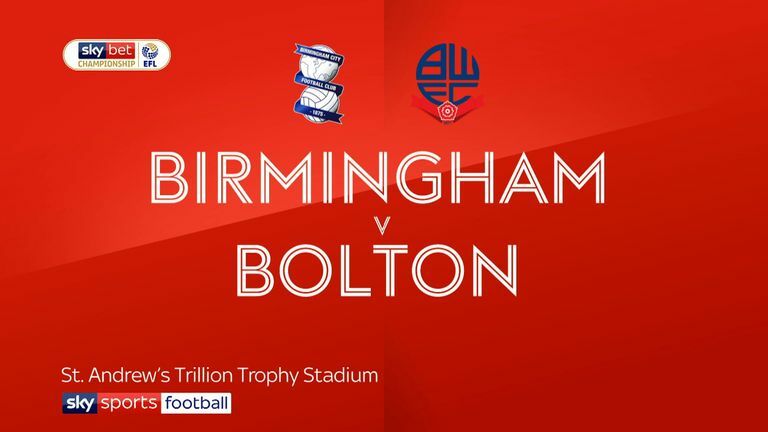 The hosts were unchanged from their dramatic 4-3 victory at QPR on Saturday, while Bolton made three changes from the side that suffered a fifth defeat in six league outings against Preston, with Mark Beevers returning from injury and Pawel Olkowski and Clayton Donaldson recalled. 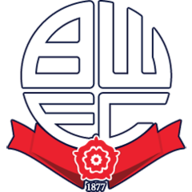 Lukas Jutkiewicz fired the first shot of note straight at Bolton goalkeeper Remi Matthews after 13 minutes, and seven minutes later Blues midfielder Maikel Kieftenbeld blazed a 25-yard effort narrowly wide. Bolton front two Donaldson and Josh Magennis made a nuisance of themselves from a long ball in the 36th minute and Craig Noone's shot from the edge of the box had to be smartly saved by Lee Camp before the former Cardiff man curled a follow-up effort wide. Che Adams found Jutkiewicz with a fine cross six minutes before the break, but the 28-year-old could only deflect the ball onto the roof of the net as he stretched to make contact. The hosts might have gone ahead in first-half stoppage time, but Gary Gardner lacked composure when the ball fell to him on the edge of the area and his effort was well off target. David Wheater's header down from a Luke Murphy corner after the break caused chaos in the hosts' defence, with the ball eventually scrambled behind, while Marc Wilson headed wide from Murphy's next set-piece. Birmingham should have gone ahead after 62 minutes when the lively Adams found Jota in space on the right of the penalty area, but Matthews brilliantly deflected his shot against the woodwork. Referee Andy Davies decided against booking Connolly for a late challenge on Kerim Mrabti midway through the second half but did reach for a yellow card two minutes later when the Everton loanee fouled Wes Harding. Bolton made the breakthrough in the 71st minute when Donaldson - who was a menace against his former club throughout - won a free-kick on the right and Connolly headed Murphy's delivery past Camp. Gardner fired a free-kick over the bar as the hosts sought a quick response and Matthews turned Adams' stoppage-time effort behind, with the Blues failing to turn a late spell of dominance into an equaliser as their play-off hopes were dealt a blow. Garry Monk: "We have to be frustrated and disappointed - our performance with the ball was below where it should have been. Che's been tucking them away for fun but you look back and the keeper has dived early, and luckily for him gone the right way. "Nine times out of 10 that ends up in the back of the net. We fought to the end but you have to make the most of those few chances when Bolton come and play the way they did." Phil Parkinson: "It was important to respond (to Saturday's result). It was a spirited performance - every single one of them ran themselves into the ground. "They didn't play for 45 minutes or 60 minutes, they stuck with it to the very end. Saturday was a disappointment but that was a full-on, committed, typical Bolton Wanderers display."